You can use the form below to contact us. All enquiries will be answered on the same day up to the 16:00 from the customers support department, otherwise the next day you will get a reply to your post. E-Corfu is now on Social Networks!!! Follow us now!!! 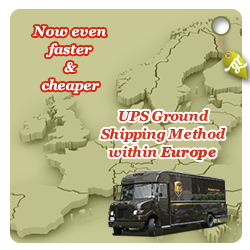 By creating an account at the e-Corfu | Greek Products from Corfu you will be able to shop faster, be up to date on an orders status, and keep track of the orders you have previously made. The procedure is quite easy and fast. Try it.